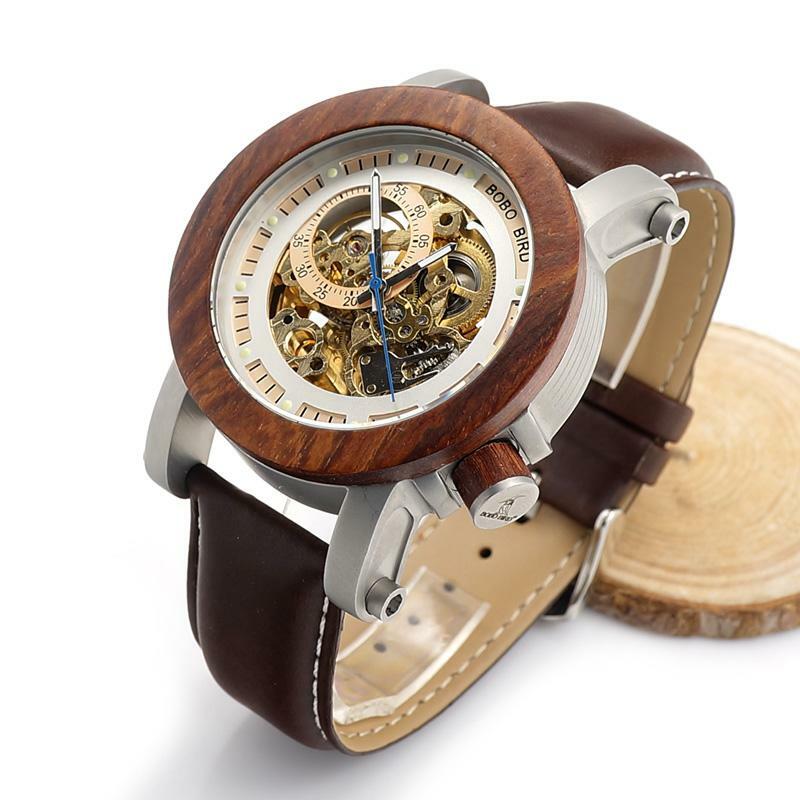 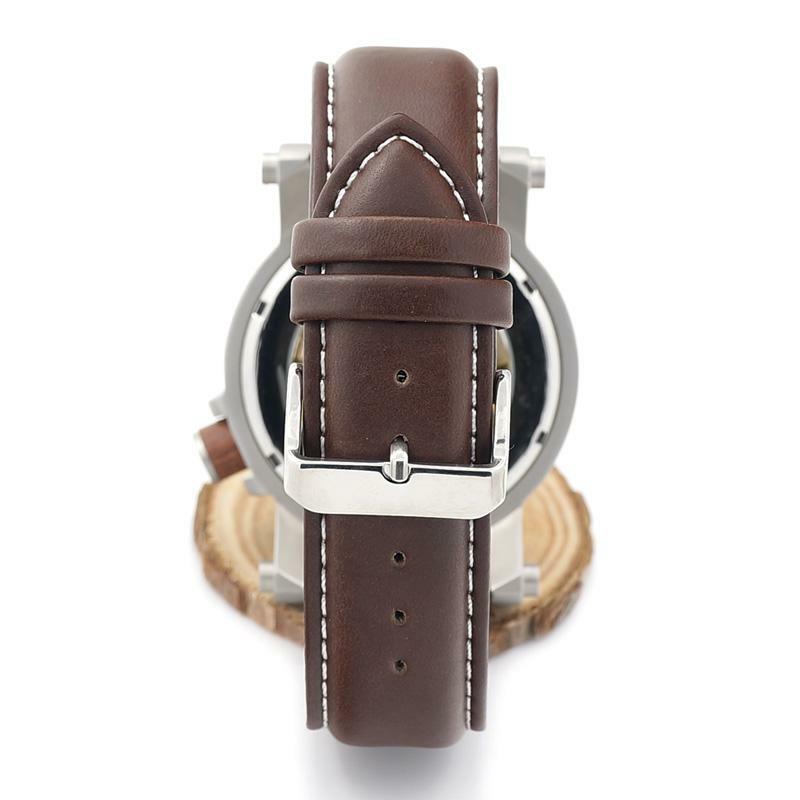 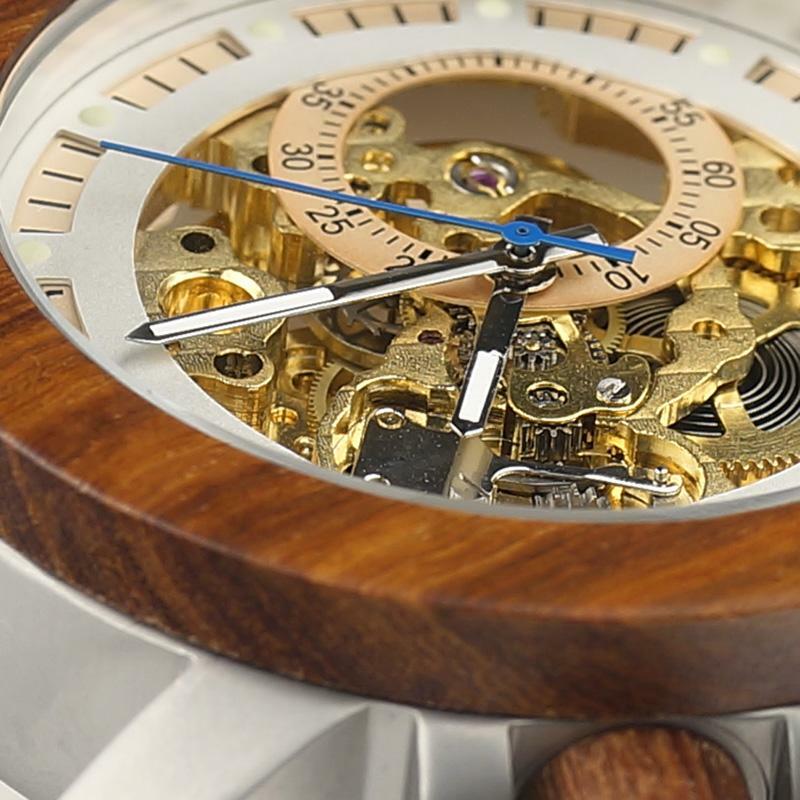 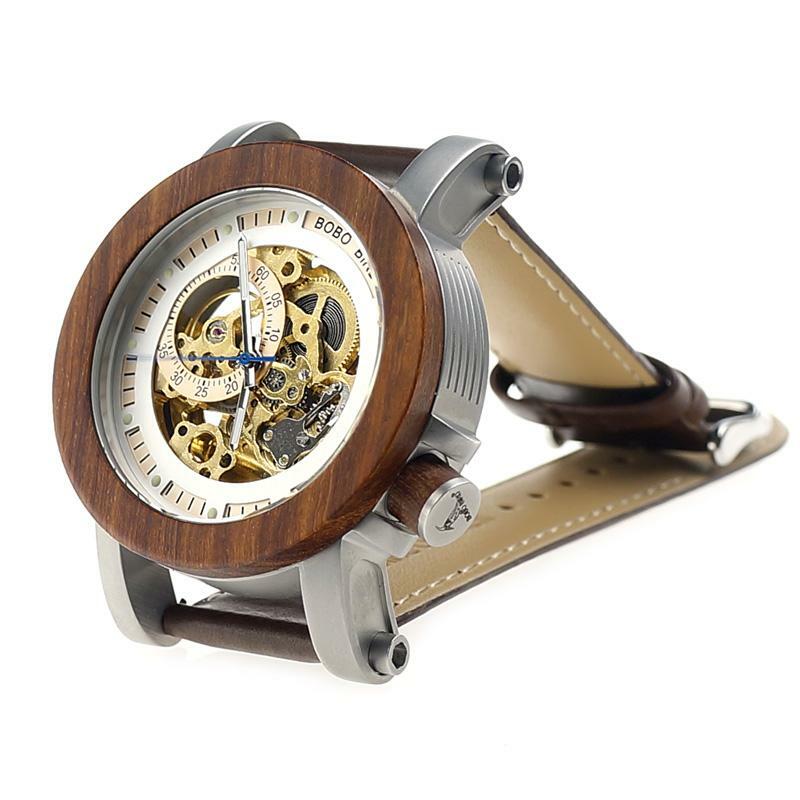 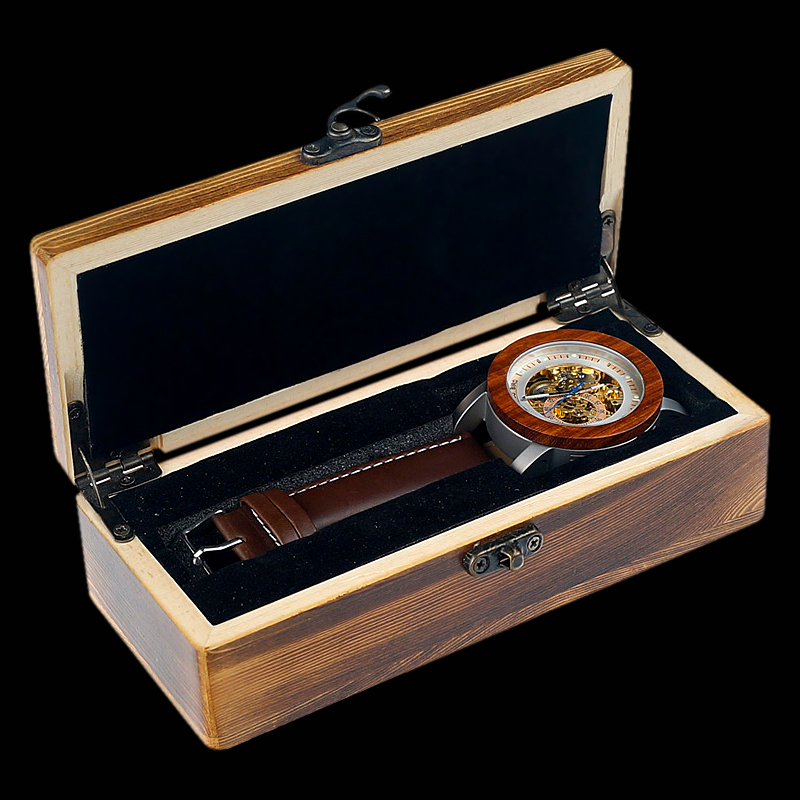 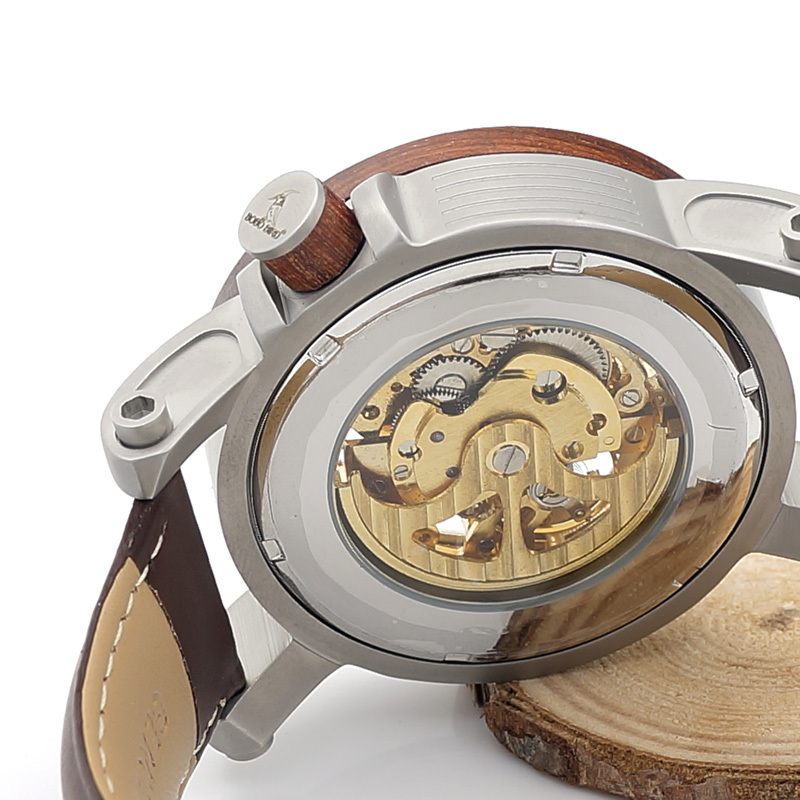 A stunning Luxury style mechanical watch with natural wood bezel & and clear view back. 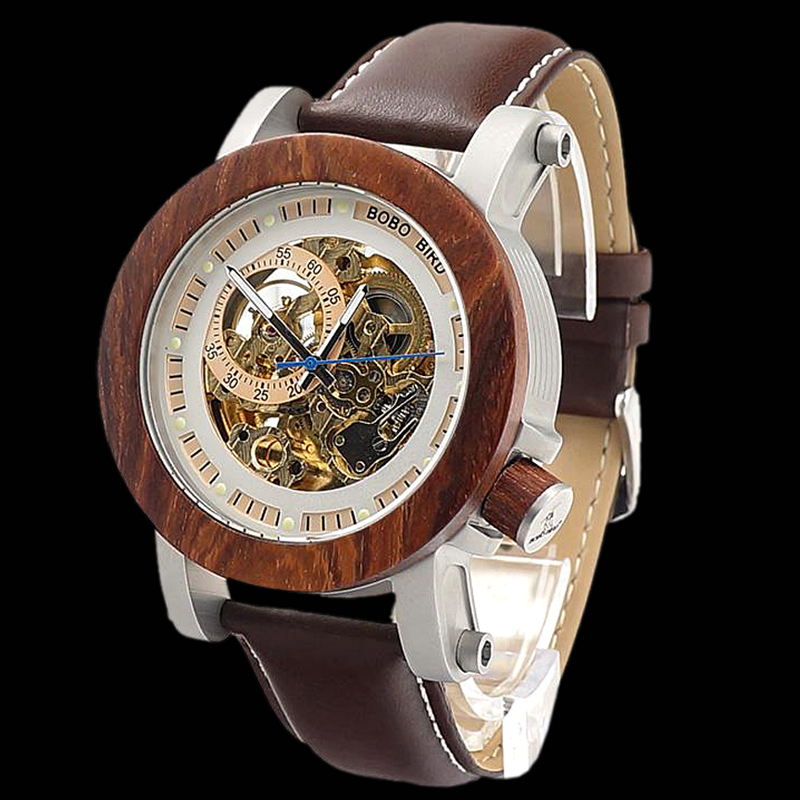 Never worry about batteries with this self winding marvel; A super unique timepiece to accent your style, keep you on time and start interesting conversations. 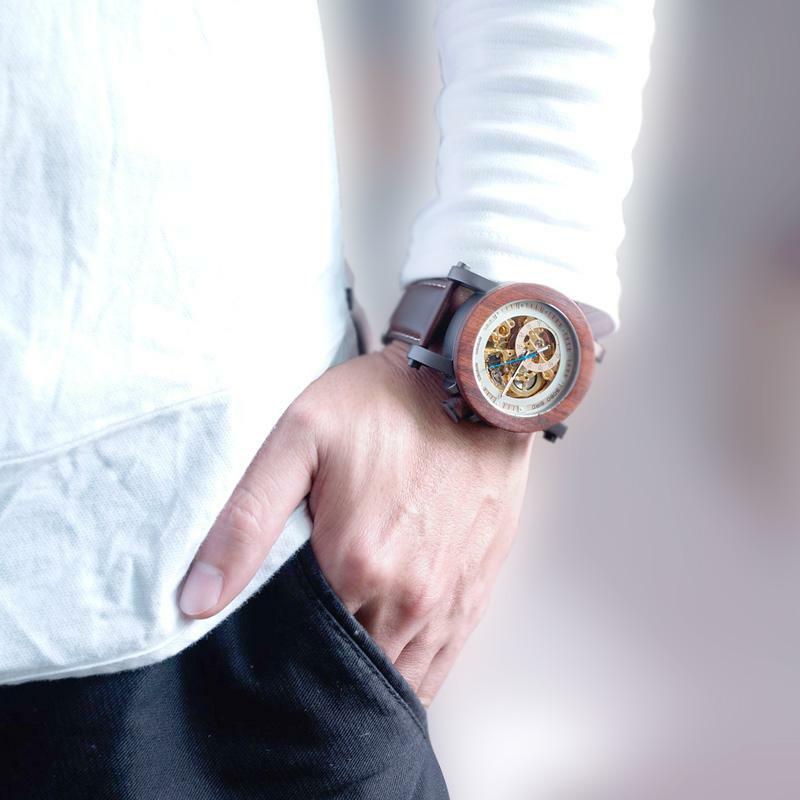 Why be normal? 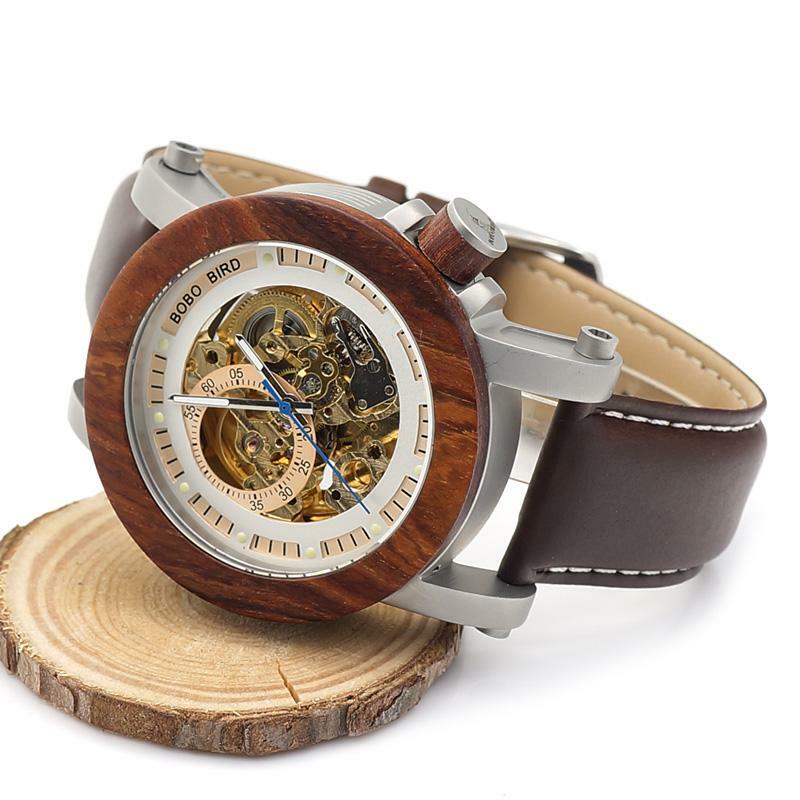 Get you Bobo Bird now!